Designed for everyday use, the iStorage datAshur Personal 256-bit 8GB USB secures data you don’t want others to see, from family photos to files of a more sensitive nature. Please call sales for pricing on iStorage – 0207 291 0890.
datAshur Personal guarantees 100% protection of your data so you will never have to worry about your personal or company files falling into the wrong hands! datAshur Personal operates straight out of the box, does not require any software or drivers to be installed and is compatible with PCs, MACs, Linux, Citrix, Android and embedded systems. datAshur Personal delivers drag and drop encryption and plug and play simplicity. 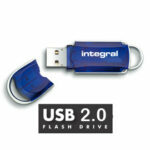 You will not find a more secure flash drive that is so easy to use at such an affordable price!